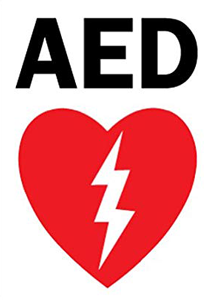 An automated external defibrillator, commonly called an AED, is a lightweight, portable device that is used on a victim to treat a sudden cardiac arrest. SCA occurs when the heart malfunctions and stops beating unexpectedly. If not treated within minutes, it quickly leads to death. Help save a life by becoming trained on how to use an AED. Register for an on-campus training session on the Risk Management Services Training page. Visit Cardiac Science to learn more about these machines and how they have helped save lives. 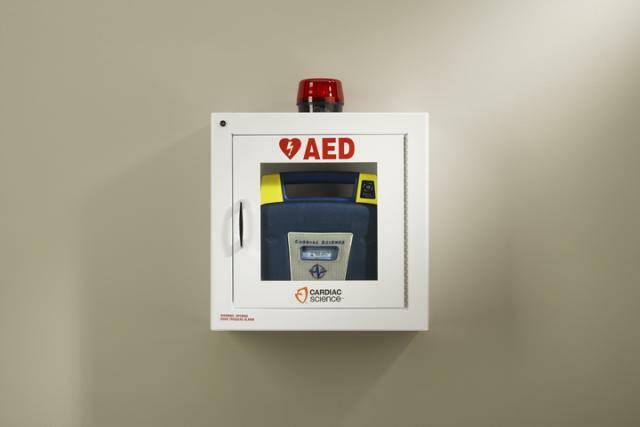 AED machines are placed in cabinets like the one displayed below. The AED machines on campus can be found by viewing the map of their locations.